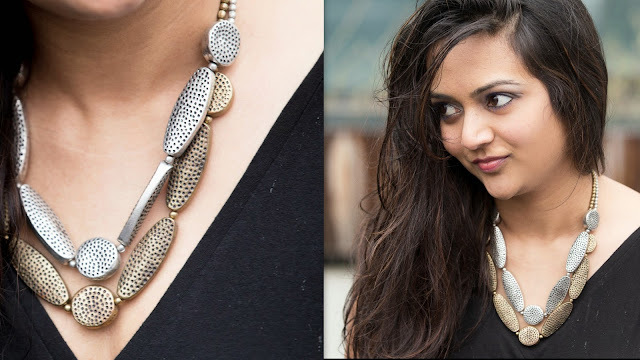 Necklaces are important accessories which can glam up a simple outfit. Statement necklaces have become a huge trend these days. But I notice not everyone wears it right, including me. Accessorizing with necklaces can be tricky for most of us. Beginners: If you just started to experiment with necklaces then choose single tone necklaces with small to medium size. Preferably in Silver, gold, bronze and black, the reason being you could easily wear it with most of the colors without having to match it perfectly. You can also layer these colors together as I did in these pictures. When in doubt wear mono-colored top/dress and wear any necklace of your choice. To balance the accessories is important. In most cases its the balance between ear rings and necklace. 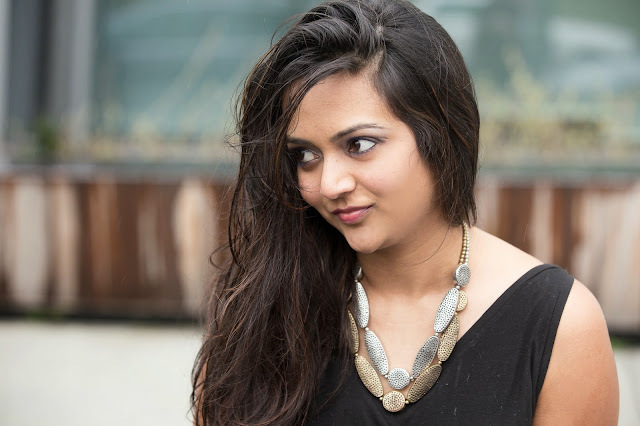 Never wear big chunky statement necklaces with long bulky glittering earrings. Always keep either one of them simple and small. Please do share your tips as well ! great statement necklace. Have a great weekend.